Calgon Carbon’s ion exchange technology is designed to remove dissolved ionic compounds from water or other liquids. 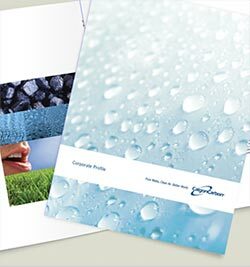 Calgon Carbon offers media, fixed bed and continuous systems for a variety of applications. The technology is used by miners to recover precious metals; by municipal water plants to remove nitrates from drinking water; by food companies to purify dextrose and high-fructose corn sugar; and for numerous other applications that involve the purification and recovery of other high-value products. The simple, cost-effective and flexible nature of the Calgon Carbon’s ion exchange technology makes it ideal for countless industrial processes. From chemical manufacturing and the treatment of drinking water to the production of food and pharmaceuticals, Calgon Carbon’s Fixed Bed and Continuous ISEP®/CSEP® systems, as well as our CALRES® media, enable the purification, separation, synthesis and recovery of valuable materials. The high product yield, high purity and maximum concentration recovery of Calgon Carbon’s continuous ion exchange technology meets the processing and purification demands of customers in many different industries. Purification of water contaminated by inorganic compounds, such as nitrate, perchlorate and hexavalent chromium. Multiple applications including paper whitening, organic and inorganic chemicals production, brine purification and the making of fertilizers and high-purity salts. Separation, recovery, decolorizing and synthesis of ingredients, additives and materials. Recover precious metals and liberate gold quickly and efficiently. Production of lysine, vitamin E and other pharmaceutical products.